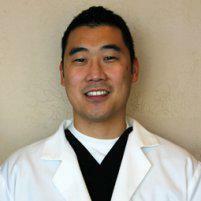 Dr. Christopher Yoon always appreciates feedback from his valued patients. To date, we’re thrilled to have collected 63 reviews with an average rating of 4.98 out of 5 stars. Please read what others are saying about Dr. Christopher Yoon below, and as always, we would love to collect your feedback. Great staff and great Dr!! Always have a good experience! These guys are the best. I’ve never had a better dentist!! The best dental care and experience you'll ever have. The staff was friendly and efficient like always. Dr. Toon and his team make what can be a stressful experience for some relaxing. Very good and the cleaning was thorough. Dr. Yoon is an excellent dentist. Chair side manner is caring, funny and professional. The entire staff is wonderful. I can’t say enough about this practice! You won’t be disappointed. Love working with Misty. A no stress morning. Thank you. Love dr yoon and his staff! Always so friendly! I am happy with every visit I’ve had with Dr. Yoon and his staff. I’ve been a patient of his for almost 6 years. They are very kind and welcoming and their dental hygienists do everything they can to make you feel at ease. I highly recommend. I am the patient Dr. Yoon loves to hate! I use an electric toothbrush and dental pics between visits so I have a 20 minute cleaning and polishing and no "tooth drama"! But his perfectionist artistry comes out when I lose a filling and he has to go to work - and he asks every visit who did such good work on my tooth? We all laugh but he seriously IS very good and the staff is like family. Wouldn't go anywhere else. Your team is the best! I appreciate it very much!